Before you can be promoted, make more money or get a better job, you first have to be great at the job you are in. Produce: Deliver results that exceed goals and responsibilities. Participate: Work well with teammates and within the organization. Problem Solve: Bring ideas and solutions to issues. Potential: Volunteer for and take on difficult assignments and/or greater responsibility to demonstrate your potential to make greater contribution. Profitability: Impact the profitability of your organization. Possibilities: Think strategically, critically and creatively about new opportunities. Share your insights with their team, manager and organization. Present: Present yourself professionally in dress, manner and communication style. Professional Development: Keep learning and building your knowledge and skills. Positive: Project a positive attitude and perspective about your manager, team, organization and self. Promote: Promote your accomplishments and communicate what you want to professionally achieve. Take on new or difficult assignments. Promote themselves, their accomplishments and ideas. But the very most successful women? They see the pathways, not the pitfalls. They don’t let obstacles stand in their way. They believe there is always opportunity, and they find a way. See the pathways, NOT the pitfalls! What about you? How are you doing with these traits? What could you be doing more of to be a great employee? 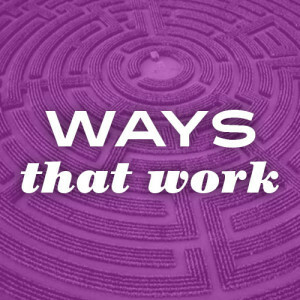 WAYS THAT WORK are quick career tips to help you succeed professionally. Keep your eye out for more in this series.